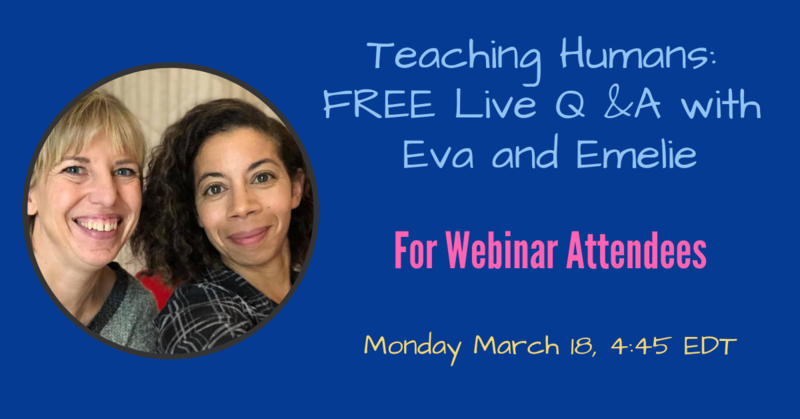 This is a free Q&A session for those who participated in the Webinars with Eva and Emelie. Registration is limited to 50 participants. You'll get access to the recording of this Q& A if you were previously registered for the webinars, or you register now for the recording (one or both). If you previously registered for the webinars or recordings, you'll get an email with the instructions on how to access the Q&A. If you're registering now, you'll receive an access code that you can use to register here for the Q&A. Register for the webinar(s) from one or both of the links above and then come back here to enter the discount code to register for the Q&A.